Efforts to figure out what treatment regimens work best for most patients - known as comparative effectiveness research, or CER - needs to be sensitive to the heterogeneity of people with diabetes, USC Professor Dana Goldman warned policymakers at a briefing on Capitol Hill. Hosted by the Congressional Diabetes Caucus on July 15, the briefing, titled "The Health and Economic Value of Comprehensive Diabetes Management," drew more than 60 Capitol Hill staffers into a crowded U.S. House of Representatives hearing room.CER weighs the harms and benefits to determine which medical treatments work best for the most people. Congress funded CER research from 1972 to 1995, and the concept resurfaced during the health care reform debate, becoming central to the Affordable Care Act. Proponents argue CER will improve medical care overall, reduce regional variations in care and may even produce huge cost savings as patients and providers choose the best, most cost-effective treatments. But Goldman, director of the USC Leonard D. Schaeffer Center for Health Policy and Economics, which is jointly housed at the USC Price School of Public Policy and the USC School of Pharmacy, urged caution. Care must be taken in applying CER to diabetes because the optimal treatment for each patient is different, he said. According to Goldman, "the problem is: What are the implications for spending?" Diabetes patients will be hurt if "the ultimate effect of this is we will have [insurance] payers steering patients to the cheaper drug because of CER," he said. "Diabetes is patient-specific, while payers make product-specific decisions," Goldman added. "So there's natural tension." Diabetes affects about 30 million Americans or more than 9 percent of the population. Ninety million Americans are pre-diabetics. People with diabetes are living longer; diabetes accounts for half of all Medicare spending. Diabetes cost the United States $245 billion in 2012, according to the Centers for Disease Control and Prevention. Goldman brought the theoretical discussion into the personal realm, explaining he was 29 and had just finished his Ph.D. when he was diagnosed with Type 1 diabetes, an autoimmune disorder that usually appears in childhood, and showed the pump he wears. "I learned how to manage my illness," he said, but each patient's educational and socioeconomic levels must be taken into account. For example, sending text message reminders to Hispanics with diabetes in South Central Los Angeles can have a big impact. "The best thing NIDDK [National Institute of Diabetes and Digestive and Kidney Diseases] could do is find a pill that makes people take their pills," he said. Other panelists were Griffin Rodgers, NIDDK director; Judith Fradkin, director of NIDDK's Division of Diabetes, Endocrinology and Metabolic Diseases; and Julie Wood, vice president of the American Academy of Family Physicians. The briefing was held with the support of Sanofi, a New Jersey-based health care company that discovers, develops, produces and markets innovative therapies. Rodgers said the government must fund CER research because private companies have no incentive to do so. The Glycemic Reduction Approaches for Diabetes study (GRADE) is a long-term comparative effectiveness study that works with Type 2 or adult-onset diabetes patients who are taking metformin, a low-cost generic introduced 30 years ago, and four other newer drugs. "The GRADE study will evaluate the next-best drugs after people are no longer in good diabetic control," said Rodgers, adding that the newer drugs can cost many times more than older ones. Fradkin said researchers are puzzled that rates of both Type 1 and Type 2 diabetes are increasing rapidly in young people. "Something must be happening in the environment," she said. A long-term study called The Environmental Determinants of Diabetes in the Young aims to identify the triggers. 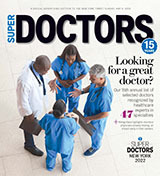 Diabetes was the fifth-most common diagnosis by family physicians in 2011. To provide more coordinated care, family doctors are adopting the patient-centered medical home model, which relies on a team approach involving the whole office, Wood said. The Diabetes Caucus, the largest U.S. House caucus with nearly 350 members, educates legislators and staff on diabetes research and supports funding for diabetes programs. It claims success for obtaining $1.5 billion since 1998 for the Special Diabetes Program that funds research into Type 1 diabetes. "The good news about diabetes is that it's one of those conditions that we really believe we can crack the nut on," said Rep. Xavier Becerra (D-California), vice chairman of the Diabetes Caucus, whose congressional district includes the Health Sciences Campus. Becerra praised USC as "a real champion" in diabetes research. Researchers from the Schaeffer Center and RAND have launched the Patient-Centered Diabetes Registry, a study that collects data from providers and patient surveys and clinical health data from around the country. Goldman stressed that the Congress needs to increase diabetes prevention efforts, which are cost-effective. "We are under-investing in prevention. Why? People get reimbursed for treatment, not prevention," he said, and shared a story a doctor told him about a patient with pre-diabetes conditions. "The best thing I could do for this patient is take him for a walk, but I don't get paid to do that," the physician said, according to Goldman. "He gets paid to treat," Goldman noted. "We should be paying people to take other people for walks."